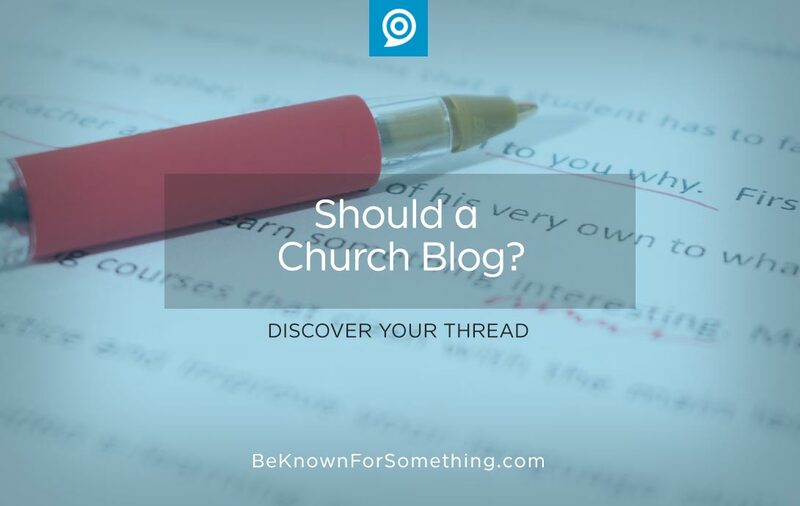 Be Known for Something : Discover Your Church Communication Thread / Brand Strategy / Should a Church Blog? Blogging has been around for over 16 years, and 6-8 years ago they became mainstream. The informative posts are everywhere with almost 200,000 published every DAY. That’s a lot of clutter. Should a church try to break into this craziness? It forces editing. It’s good to have leadership blogging on your website. It drives traffic and, if they like what they see, they’ll return. What are people looking for? A headline that speaks to a concern, need or goal with a short solution or path to the goal in the main body. Most go to a webpage with the intention of quickly discovering what they’re looking for. In about 10 seconds or less. But a well-edited blog will entice someone to stay up to 60 seconds. So the average blog should be about 500-600 words. Requiring short blogs helps your leaders understand how to edit their communication (it’s an art form that gets better with practice). Something that we wish happened more on Sunday morning. Helps you wear thread glasses. A successful blog is themed and unified around a consistent communication thread. Based on your community’s needs, your church should know what your thread is. You should be known for it! A blog that’s posted weekly allows you to intertwine your thread through many posts to keep it interesting. This forces you to put on imaginary thread glasses to see your thread throughout your church. It’s there. A blog forces you to communicate it. Lets the Pastor speak personally. A Pastor who blogs effectively will start with a personal story and then pull 3-5 discoveries from it; what he’s discovered in day-to-day living. This connects himself with the average person in the community. It’ll humanize him and allow him to engage at a different level than a sermon ever would. Gives a reason for the congregation to go to your website. Many people in your church only visit your website occasionally for event information. A blog allows topic-driven headlines to be shared on social media (and in the bulletin or e-blast) and will give a reason for your congregation to link regularly to your website. Ensure you have links in the blog post (or around it) to take them to other important event-based information (without overdoing it). Get your community to be interested in church. For the same reason, thanks to social media, a blog will engage with those outside of any church. 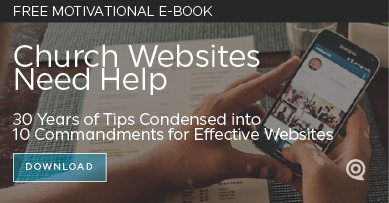 A well-written benefit-based headline, shared on a member’s wall or feed, will attract someone not connected to your church. Imagine! They may discover that a church has good advice or wholesome solutions for their needs too. How do you get started? Make room for a blog on your website, commit to a regular thread as your theme (so you can become known for it), and establish a consistent, obtainable schedule. If the posts are coming from many sources, you’ll need a good editor to unify the contents. Make sure you control the rules and adjust them where appropriate. Finally, watch your analytics to see which topics are most read! If no one is reading them, either you’re not promoting them or your content is wrong. Be sure to adjust both continuously until you get it right! It’s worth it.